Substitute for Summa-graphics D-Series 391-360 plotter blade. Designed for thick materials. 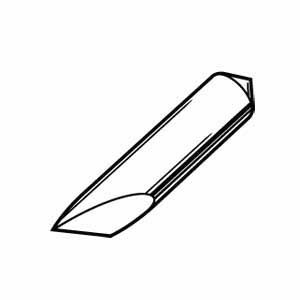 For best results, use the following recommended plotter blade angles when cutting these material thicknesses: 35 degree 2-12 mil / 60 degree 12 mil .